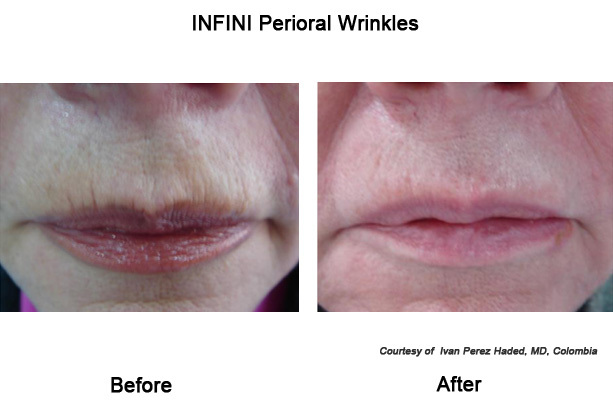 INFINI treatment is now recognized as one of the best treatments for skin tightening, collagen growth, wrinkle reduction, as well as for the improvement of texture and scar. 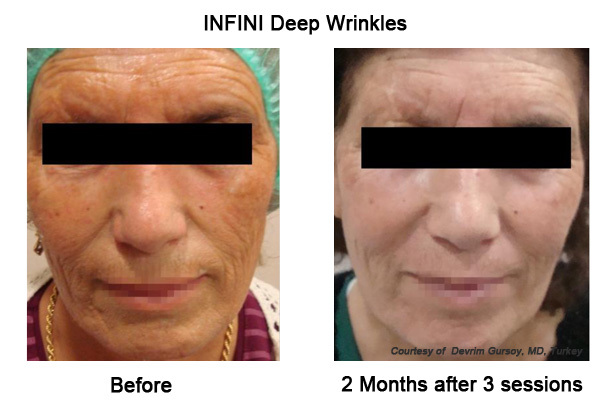 INFINI has become the newly endorsed anti-aging treatment which is used for the correction and improvement of wrinkles, sagging skin, and skin texture through the process of tissue volumization. 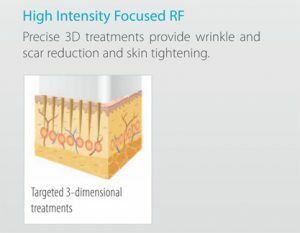 INFINI brings together two innovative anti-aging procedures consisting of radio-frequency (RF) technology and micro-needling, to produce 3-dimensional energy deep inside the dermis layer for any skin type! 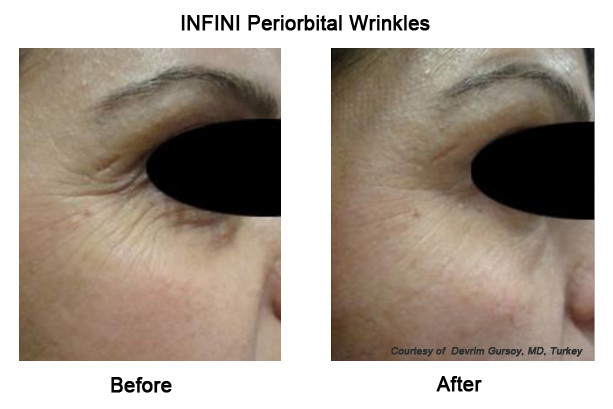 The INFINI cosmetic procedure provides different patients with ideal outcomes in a minimally-disturbing process. Tiny perforations are made in the skin in the micro-needles procedures. As a way of repairing the micro-wounds, more collagens are produced by the skin. Collagen is the protein which provides the skin with youthful firmness and elasticity. This helps to create a restoring effect throughout the skin treatment area. 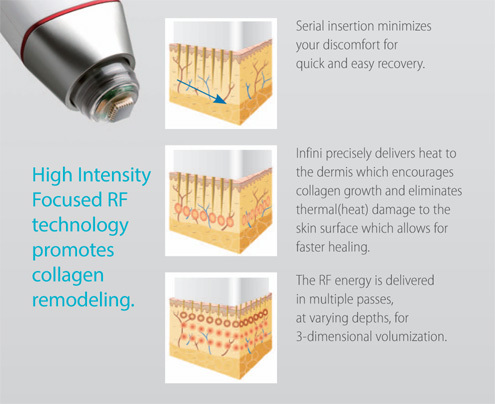 As a way of making the procedure more efficient, the micro-needles likewise convey RF energy into the little wounds. This further encourages the production of collagen. Asides joining several restoring procedures to extreme effectiveness, the INFINI cosmetic procedure also consists of flexibility and customization. This is why tailoring the process to the need of each and every individual patient is possible. It is also possible to adjust the length of the micro-needles. Treating a particular area at multiple levels of depths will yield more overall outcomes. 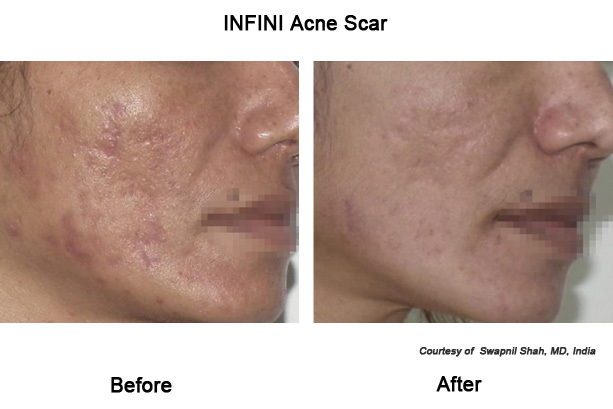 The INFINI treatment also features two exclusive applicators. One of the applicators has a larger surface. This is used to more efficiently treat skin areas such as the cheeks, and forehead. The other features a smaller surface. This is used to more effectively tend to tight and delicate areas, for example, the skin around the nose or eyes. Due to the fact that several grades and depths of wrinkles, acne scars, and lax skin, are addressed by the INFINI cosmetic procedure, the number of sessions and treatment plan for each patient usually differ. INFINI makes use of a sterile, disposable tip for individual patients. This comprises of very tiny insulated gold-coated microscopic needles. They are often referred to as micro-needles. These micro-needles stimulate collagen production when pressed into the dermis. The dermis is the second layer of the skin. 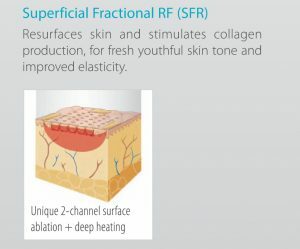 On combining these micro-needles with radio-frequency (RF) technology, they are now capable of delivering the radio-frequency straight into the dermis. This is also assisted with a precision control, about 3.5mm deep. This helps in stimulating the production and growth of more collagen, tissue tightening, as well as volumizing. Furthermore, INFINI smoothens and tightens the skin of the patient right from within. The micro-needles deliver concentrated heat in the form of RF energy, as earlier discussed, at several depths under the topmost skin layer. With this, the natural healing process of the body is stimulated at a more profound level, encouraging the tightening of the skin, without the surface of the skin getting damaged. As a result of this, the INFINI cosmetic procedure can be used for the treatment of various skin conditions ranging from sagging skin or wrinkles along the jawline, to acne scars on the forehead or cheeks, to laxity in the neck and loose skin. This treatment often results in a rapid reduction of wrinkles, tightening of the skin, and reduction in scars. The treatment also helps to even out the texture of the skin, leaving you with a youthful and smooth complexion. Using personalized settings, the INFINI cosmetic procedure can be used to target even the most delicate part of the skin, irrespective of your skin type, color, or condition. 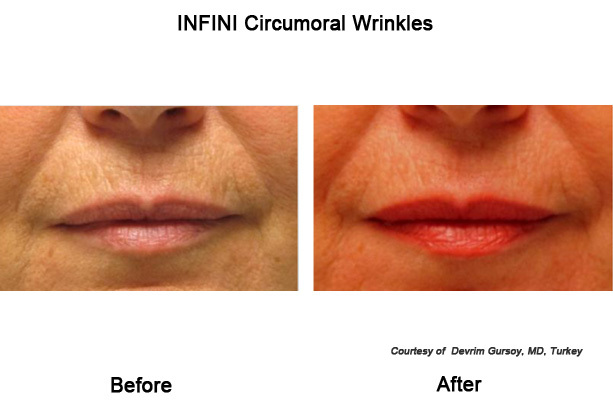 The INFINI cosmetic procedure can take about 30 to 45 minutes. Your face will be cleansed, then, a topical anesthetic will be applied to the target area. This is to eliminate the pain, making you comfortable throughout the entire process. 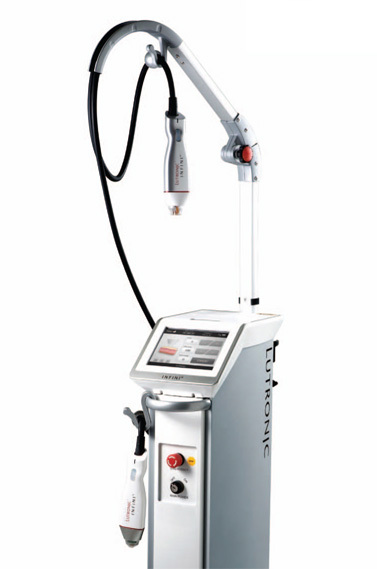 The INFINI device will then be guided over the skin area waiting to be treated. Here, your skin will be penetrated by the micro-needles. The penetration usually occurs within a twinkle of an eye. Each only last for micro-seconds. During the treatment session, up to three passes might be taken across the treatment target areas using the INFINI device. The depths would be adjusted, varying from 0.5mm and 3.5mm. This helps in maximizing the stimulation of collagen. The results: What should you expect? 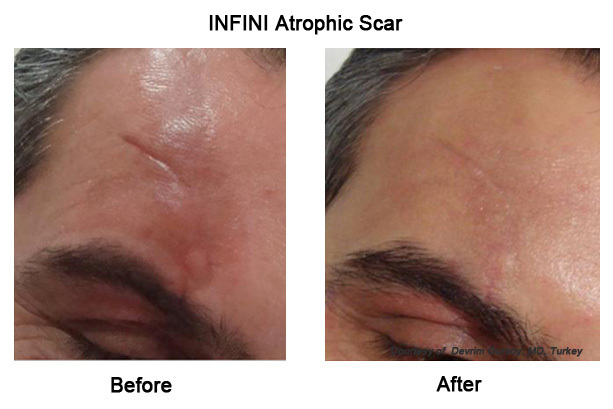 An immediate result should not be expected after an INFINI treatment. 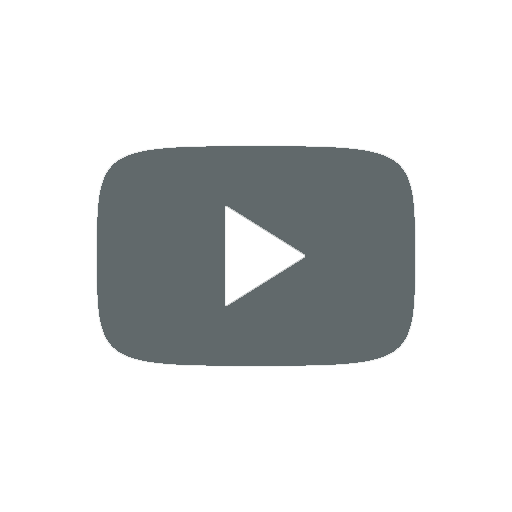 What the procedure does is to trigger the gradual healing process of your body. At the same time, collagen production from the deeper layers of the dermis is also encouraged. Once those deeper skin layers begin to heal, the skin surface will start tightening and getting smoother. Within a couple of weeks, the result will become obvious. Patients can also decide on having several treatment sessions in order to achieve an ideal result. Although, results often vary between one patient and the other. The ultimate collagen stimulation results will become obvious within two months after your final treatment session. 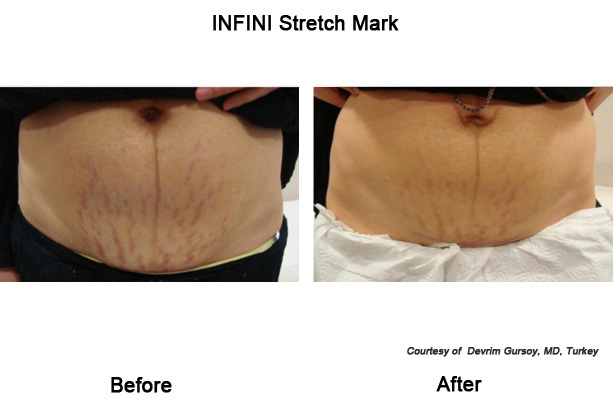 Want to know more about INFINI Treatment in Sydney? 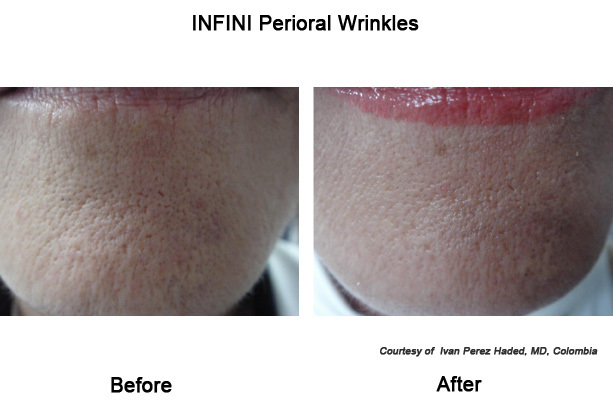 INFINI precisely and directly targets the skin dermis. 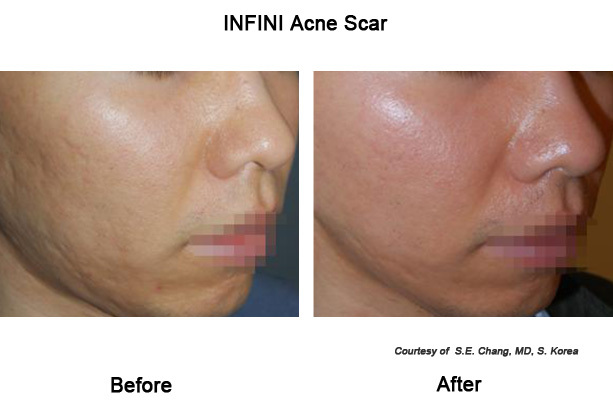 The INFINI cosmetic procedure exceeds the epidermis, treating the dermis directly. The surface of the skin will be spared any form of trauma, while the radio-frequency are delivered exactly where it is required of them to be. Contrasting with much other skin treatment that gets to the dermis from the surface of the skin, INFINI deals directly with the dermis. Another incredible thing about the INFINI cosmetic procedure is that it can be used on any skin, irrespective of the skin type. 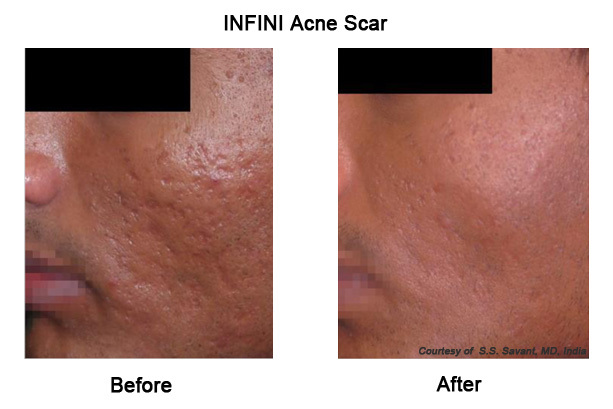 Unlike several other RF and laser treatments, INFINI is efficient and safe on tan and dark skin. Also, INFINI treatment can be used in the delicate areas of the skin, skin with pigmented lesions, as well as on patients having melisma. The pain felt during the procedure is very little, and no downtime once the procedure has being completed. Can INFINI treatment be used on any skin type? 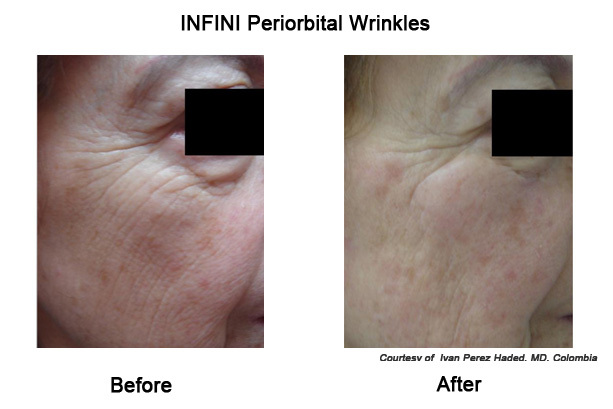 INFINI facial rejuvenation and skin tightening treatments are safe for use on each and every skin types. This includes pigments, darker skin tones, and age ranges. 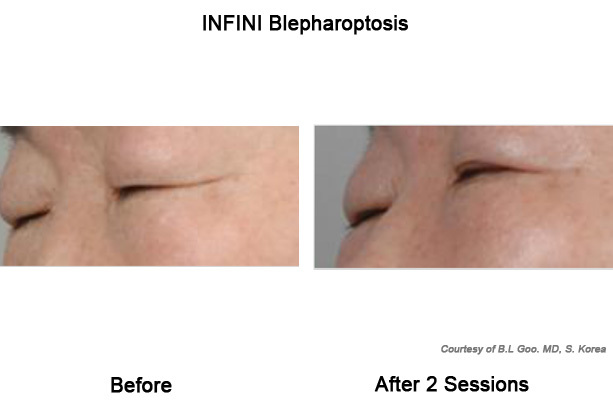 The INFINI cosmetic procedure helps to minimize the risks which occasionally complements laser treatments. INFINI is safe on tan skin. Also, INFINI can be used in the delicate areas of the skin, skin with pigmented lesions, as well as on patients having melisma. 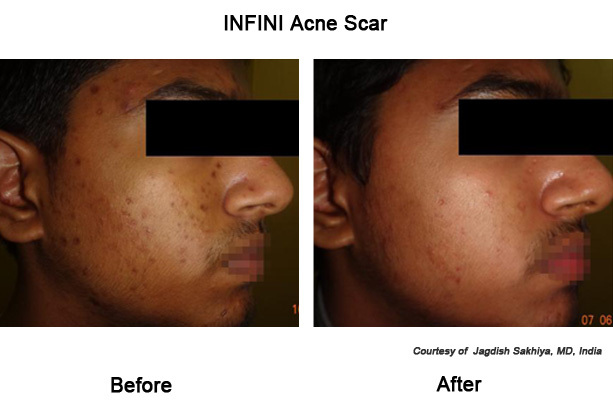 How is acne scarring minimize by INFINI treatment? Scars begin to form the moment too little or too much collagen is produced by the body during the healing process of the skin. By encouraging the production of new collagen in a microscopic, and controlled area, while at the same time, breaking old collagen chains, INFINI provides the skin with the opportunity of a restoring cleaner complexion and a smoother texture. Due to the fact that the INFINI cosmetic procedure incorporates topical anesthetic application, very minimal amount of pain will be felt during the recovery process. For many patients, it is just like having a little sunburn. Patients are usually capable of returning to work or start going about their normal activities after one or two days. Mild redness might initially appear. However, this ends up fading away after a couple of days. In fact, you can easily cover it up with tinted sunscreen or by applying makeup. I have a darker skin tone. Is INFINI treatment safe for me? Even if you have a darker skin tone, INFINI is still safe for you. 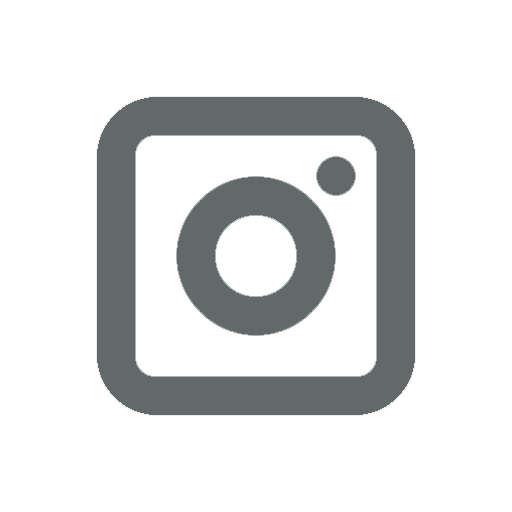 Hyperpigmentation can sometimes be an obstacle with other energy or laser skin treatments. 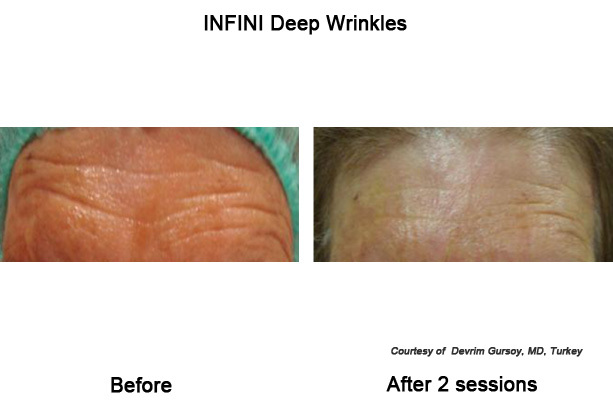 However, due to the fact that the INFINI treatment circumvents the outer skin layer makes it safe for all skin tones. The micro-needles depth will likewise be adjusted during the treatment of more delicate skin areas, like areas having pigmented or melasma lesions. 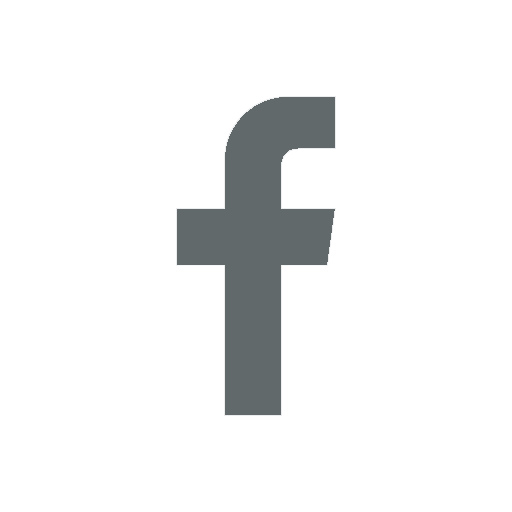 Is an INFINI facial restoration treatment painful? Unlike numerous other facial or skin restoration treatments, the INFINI cosmetic procedure takes several precautions in maximizing the comfort of the patient. The micro-needles are usually adjust to prevent the patient from getting deeper perforations than required. Noticeable and progressive results can also be expected by patients with reduced discomfort and downtime.